Thomas Seymour had a way with women – his charisma so great and his looks so good that even Katherine Parr couldn’t help but fall for him. He was described as “…fierce in courage, courtly in fashion, in personage stately, in voice magnificent.” Yet with all those wonderful attributes he did not marry until he was nearly forty years old. In 1547, after the death of King Henry VIII, his son Edward succeeded him as King Edward VI of England. 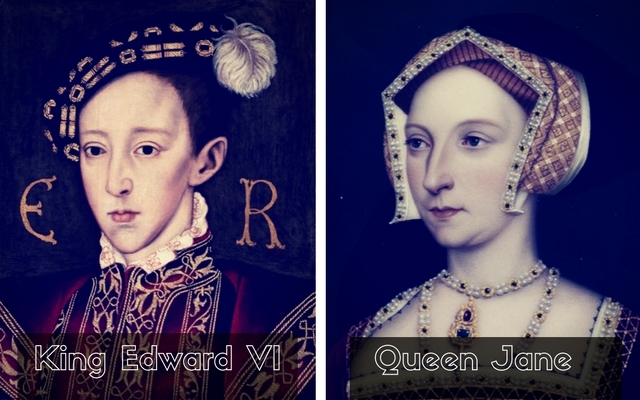 Young Edward’s mother, Jane, died days after giving birth to him and the only remaining connection to her was through his uncles, aunts and grandmother. From early on the Seymour brothers were gifted with titles. Edward was given the title Viscount Beauchamp after his sister married the King in 1536. The following summer he became Earl of Hertford. At the same time his younger brother Thomas became Gentleman of the Privy Chamber. A year later he was granted the castle and manor of Holt in Cheshire and knighted prior to the christening of his nephew, Prince Edward, into the Knight of the Bath.¹ From that point, until the death of King Henry, Thomas was continually given lands, but no greater titles – those were saved for his elder brother, Edward. When Prince Edward became King of England Thomas Seymour’s social standings grew immensely; He was now uncle to the King. Finally he was given a title…though not a dukedom like his brother Edward who became Duke of Somerset and Lord Protector but Baron of Sudeley and Lord Admiral, along with several pieces of land. As an uncle to the King he should have received more, at least an earldom. Some chroniclers and historians have said that his brother Edward was behind the lack of any great titles. 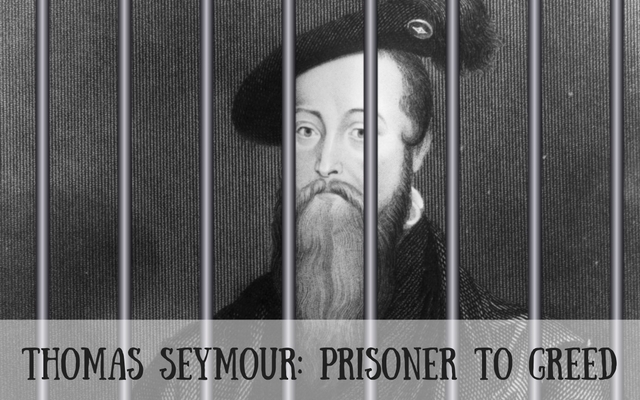 When we look back at previous kings in their minority it was more common that any remaining uncles were given much greater titles than what Thomas Seymour received. With his brother Edward as Lord Protector of the Realm, he had the power to recommend to council to give his brother a greater title. 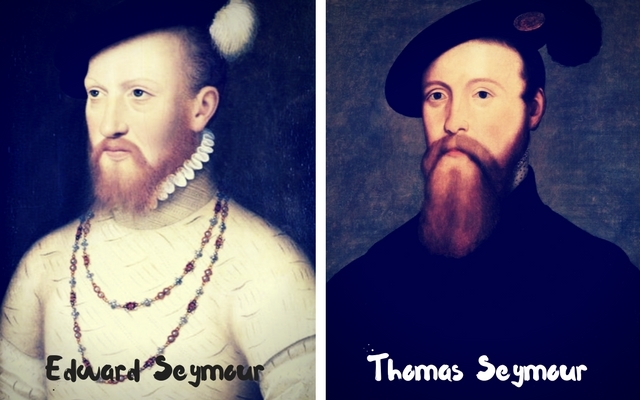 It’s almost as if Edward Seymour knew that his brother would attempt to over-throw him and take a more powerful position for himself. Thomas never believed he was given enough and always thought he deserved more. That was definitely his weakness. It’s easy to see him as a villain, but he was also a victim of his brother’s ambitions. I believe this was his true motivator. However, imagine seeing your elder brother and your younger sister getting everything they desired and you, as a middle child, feeling like you were always forgotten. Thomas Seymour was nearly forty years old and unmarried when Henry VIII died in 1547. There is no doubt that he could have married any noble woman of his choosing but his ambitions were always higher and greater than most expected. He wanted a marriage that would give him more money, more property and more political standing. 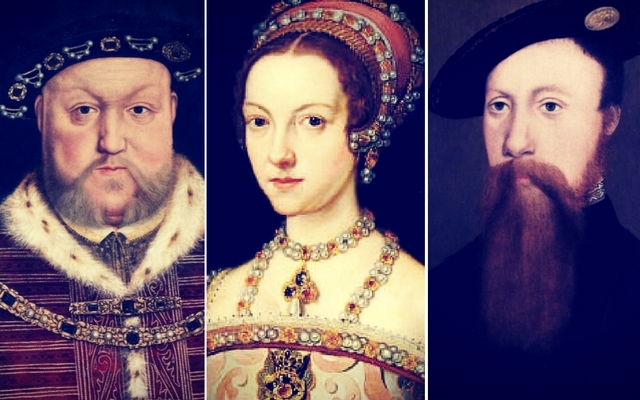 Before Katherine Parr was married to Henry VIII, she and Seymour had hoped to marry after the imminent death of her third husband, Lord Latimer. Merely a couple of months after the death of Latimer, Henry VIII asked Katherine to be his wife. She could not refuse. This may have fueled Seymour’s internal fire to strive for what he thought he deserved and what he thought should be his. It was necessary to have a lengthy mourning period after the death of a husband, but especially if that husband was the King. If the wife was of child-bearing age she had to wait until a sufficient amount of time went by for everyone to see that she was not with the King’s child. As an example, the dowager queen, Catherine of Valois, was told she could not remarry until her son (who was a minor) came of age and could give consent. Had Thomas Seymour proposed to Katherine in 1543 right after the death of her husband it would have been seen as improper. He had to give it some time before proposing marriage. The King however, did not have to follow the same rules as his subjects. With Katherine married and out of the picture, Thomas had every opportunity to marry, yet he did not. He was send abroad several times by Henry VIII on embassies or battles and that sufficiently kept him away from Katherine Parr during the King’s lifetime. Mr. Fowler, I pray you, if you have any communications with the King’s Majesty soon, or tomorrow as his highness whether he would be content I should marry or not; and if he says he would be content, I pray you ask his grace whom he would have to be my wife? When Fowler saw the King next he brought up Seymour in conversation by marveling how he had not yet been married. The King had no response. Then Fowler asked, “Could your grace be contented he should marry?” The King responded by saying only, “Ye-very well.” Fowler than proceeded to ask Edward whom Seymour should marry. 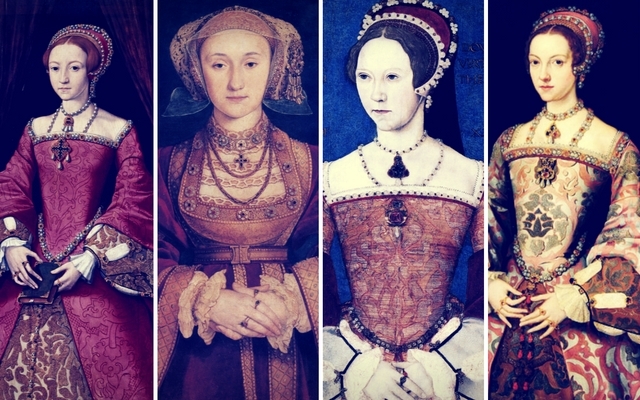 The King said that Thomas Seymour should marry “My Lady Anne of Cleves.” He paused a moment and then changed his mind saying that Seymour should marry his sister Mary – to help “turn her opinions.” This must reference her religion. The above reference situation is not dated so I am unsure when it actually occurred. I believe this was about the time that Thomas proposed to Elizabeth and married Katherine Parr. It appears he’s looking for the King to name one of the two ladies. Thomas Seymour secretly wed Katherine Parr in 1547. There marriage was short-lived but did produce a child, Mary. After the death of Parr, Seymour asked the Council if he could marry “Madam Elizabeth.” He said that he, as uncle to the King, and someone whom had formerly been married to the dowager queen, deserved to marry her above everyone else. Nothing, of course, came from his request. Things started to escalate from that point and Seymour showed signs of desperation after the death of the dowager queen and turned down request to marry Elizabeth. We’ll stop there for now and continue on with a future article about what happened next. ‘Henry VIII: December 1546, 26-31’, in Letters and Papers, Foreign and Domestic, Henry VIII, Volume 21 Part 2, September 1546-January 1547, ed. James Gairdner and R H Brodie (London, 1910), pp. 313-348. British History Online http://www.british-history.ac.uk/letters-papers-hen8/vol21/no2/pp313-348 [accessed 14 October 2016].